As of May 1st 2010 LEGO has decided to allow everyone to freely use LEGO® SERIOUS PLAY® methodology. Thanks LEGO! Feel Free to Use, Develop and Pass it on! Who and how is entitled to use, train, develop with LEGO® Serious Play® methodology? Very simple! Anybody is entitled to – provided that they follow the LEGO Serious Play Open-source guideline (download it below). LEGO Serious Play Open-source document p. 4 states: “LEGO® SERIOUS PLAY® has been made available by the LEGO Group under a Creative Commons licence ‘Attribution Share Alike’: see http://creativecommons.org/licenses/by-sa/3.0/“. The licensor (LEGO) cannot revoke these freedoms as long as you follow the license terms. How do you give credit to LEGO Corporation? When you do that it is important to make a distinction to what is in the LEGO® SERIOUS PLAY® Open Source Guide and what are proprietary materials. E.g. if somebody has created something, which has their original ideas and that they do not allow others to use. If you are in doubt then get in touch with the authors and make sure that you will not violate their rights nor trust. What if you are looking for a facilitator? 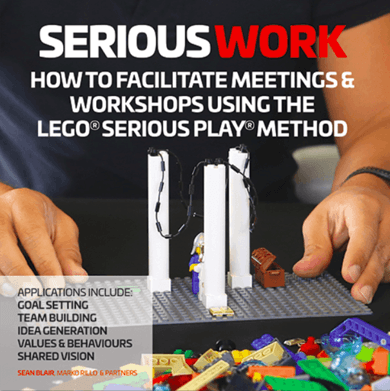 As a client looking for an experienced LEGO SERIOUS PLAY facilitator to run a workshop or as a professional facilitator or consultant looking for training in order to apply LEGO SERIOUS PLAY to your toolbox, LEGO encourages to search the internet for LEGO SERIOUS PLAY facilitators within your country. You may also just post your search in the facilitator marketplace here. What is included in LEGO SERIOUS PLAY Open Source Document? The core methodology of LSP has been transcribed and made public for people and facilitators looking to benefit from utilising this method. The Open Source document aims to empower and inspire people to become familliar with the LSP method as well as open up the experience to people who previously couldn’t be a part of it. By sharing the method of LSP, LEGO hopes to will illustrate the “power of thinking through your fingers” enabling individuals to unleash insight, inspiration and imagination, in a practical and direct way. The common language – the bricks – makes everyone equal and allows all opinions and aspects to be heard. The bricks allow people to communicate thoughts and ideas in place of traditional communication methods that can be too restrictive. In the past all three of these were only available to trained and certified consultants. From June 2010 however, the first two of these have been made ‘open source’. This document outlines the basic principles and philosophy, and the LEGO® SERIOUS PLAY® boxes (large sets of LEGO bricks and pieces) can be found here: purchase bricks. The document does not include detailed applications, because LEGO® SERIOUS PLAY® is entering a new phase. New applications will be developed by the international community of users, and may be shared online. 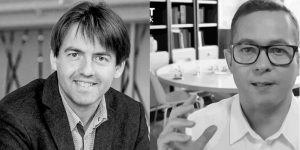 In this new phase welcome creative uses of the tools, and innovation in the community. You may download after registering as a member of the SeriousPlayPro.com. It is a large file (37 MB) and download may take some time depending on your bandwidth. If you want to download the Open Source Document you must first register or log in.